Your horse's, dog's, cat's or loved ones hair encased in clear resin. Shape - Small Trapezoid, Teardrop, Oval, Rectangle, Hexagon. Bail - Plain, Twist, Rhinestone or Wire Wrap. Small teardrop pendant in Parallel design with Sterling Silver and Rhinestone bail. Approximately 1-1/4" long. Small oval pendant in Crosshatch design with Sterling Silver and Rhinestone bail. Approximately 1-1/4" long. 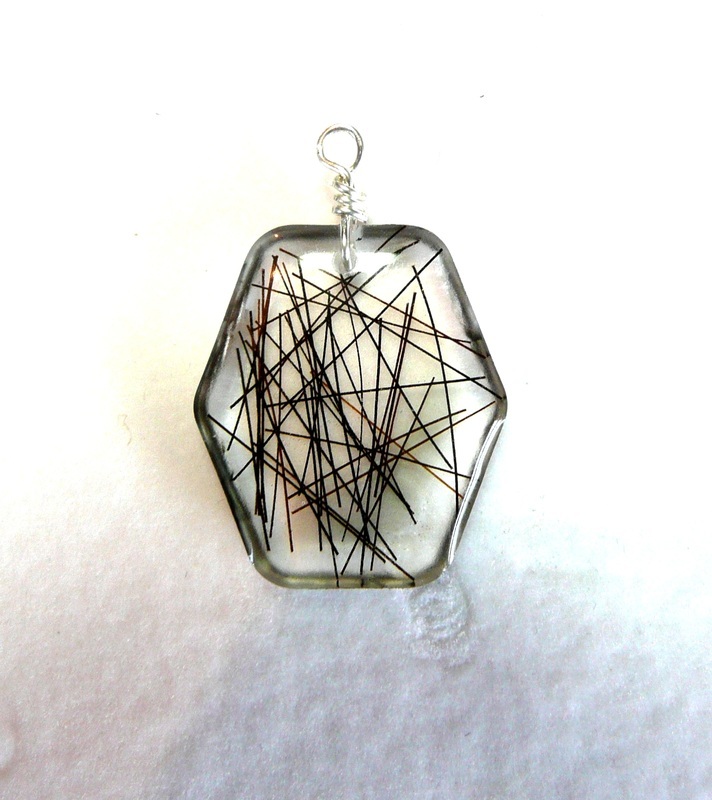 Small hexagon pendant in Crosshatch design with Sterling Silver wire wrap bail. Approximately 1-1/4" long. 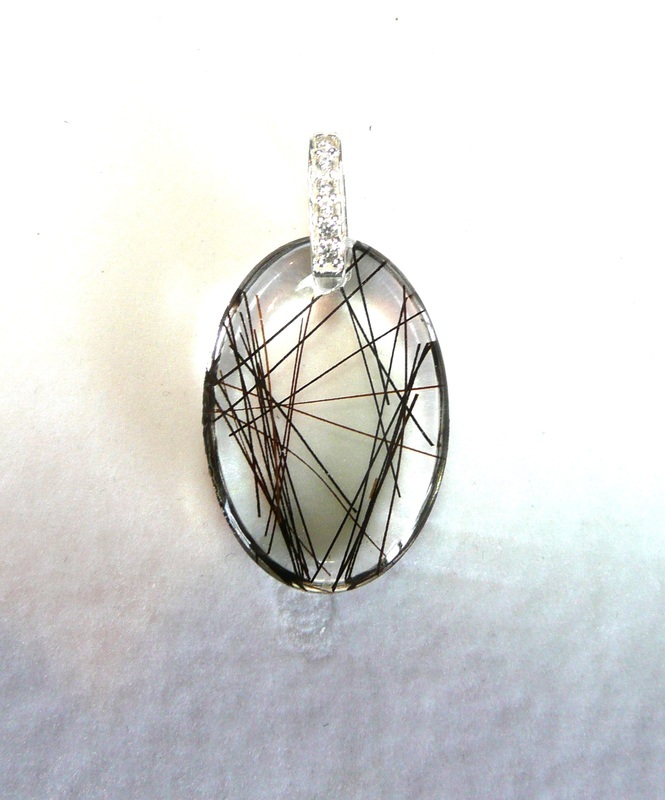 Large oval pendant with Sterling Silver wire wrap bail. Approximately 1-3/4" long. This piece holds the hair of my wonderful husband. Large long rectangle pendant in Parallel and Crosshatch design with Sterling Silver twist bail. Approximately 2" long. 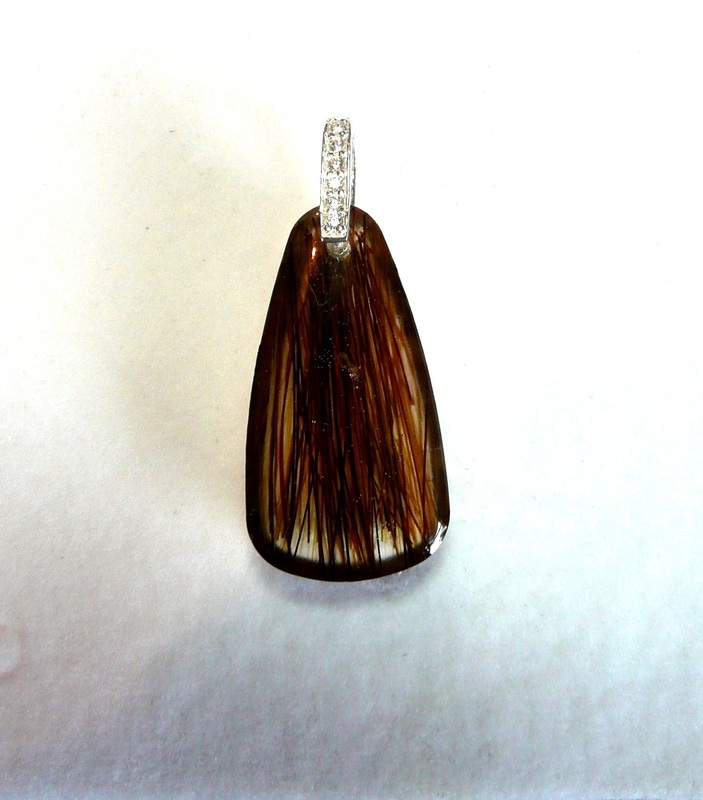 Sterling Silver pendant with horsehair "Jewel" center. 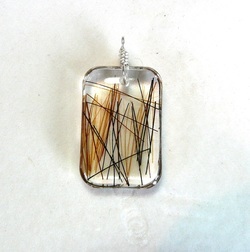 Sterling Silver pendant with horsehair "Jewel".